Woah!!! I am pretty sure that this is the lowest that I have seen this one!! I have this Camera and got a “steal” at $375!!! If you have been wanting a DSLR now is the time to pounce!! 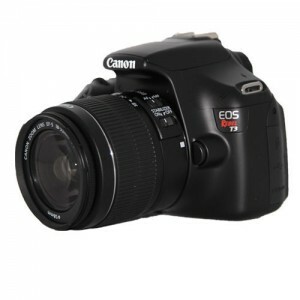 Ebay has the Canon EOS Rebel T3 DSLR Camera w/18-55mm IS II Lens for just $299 + free shipping!!! Same camera is $399 on Amazon right now!! Total steal! And yes, this is a brand NEW in the box camera!! Hurry over to Ebay now! !